Oxime extractants 3-tert-butyl-2-hydroxy-5-methyl benzaldehyde oxime (HL1) and 3-tert-butyl-2-hydroxy-5-methoxy benzaldehyde oxime (HL2) were synthesized and characterized by conventional spectroscopic methods. Suitable lipophilic nature of the prepared extractants allowed examining the ability of these molecules for extraction-separation of copper from its mixture with normally associated metal ions by performing competitive extraction experiments of Cu(II), Co(II), Ni(II), Zn(II), Cd(II) and Pb(II) ions from chloride solutions. Both ligands transfer selectively the copper ions into dichloromethane by a cation exchange mechanism. Conventional log-log analysis and isotherm curves showed that Cu(II) ions are extracted as the complexes with 1:2 metal to ligand ratio by both extractants. Verification of the effect of the organic diluent used in the extraction of copper ions by HL1 and HL2 demonstrated that the extraction efficiency varies as: dichloromethane ~ dichloroethane > toluene > xylene > ethylacetate. Time dependency investigation of the extraction processes revealed that the kinetics of the extraction of copper by HL2 is more rapid than that of HL1. The application of the ligands for extraction-separation of copper ions from leach solutions of cobalt and nickel-cadmium filter-cakes of a zinc production plants was evaluated. Ullman’s Encyclopedia of Industrial Chemistry, Wiley-VCH, Weinheim, 2003. J.R. Turnlund, Am. J. Clin. Nutr. 67 (1998) 960S-964S. L.M. Gaetke, C.K. Chow, Toxicology 189 (2003) 147. A. Zümriye, İ.A. İşoğlu, Process Biochem. 40 (2005) 3031. M. Aguilar, J. L. Cortina (Eds. ), Solvent Extraction and Liquid Membranes, CRC Press, New York, 2008. 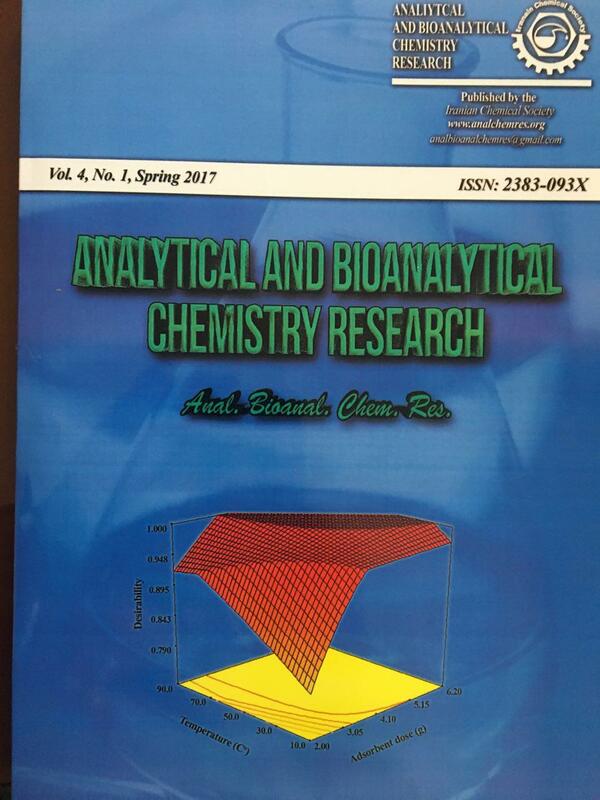 Z. Marczenko, M. Balcerzak, Separation, Preconcentration and Spectrophotometry in Inorganic Analysis, Elsevier, Amsterdam, 2000. S.J. Yoon, J.G. Lee, H. Tajima, A. Yamasaki, F. Kiyono, T. Nakazato, H. Tao, J. Indust. Eng. Chem. 16 (2010) 350. R. Meera, M.L.P. Reddy, Solvent Extr. Ion Exch. 22 (2004) 761. W. Fu, Q. Chen, Q. Wu, H., Hu, L. Bai, Hydrometallurgy 100 (2010) 116. C.Y. Cheng, Hydrometallurgy 84 (2006) 109. A. Parus, K. Wieszczyck, A. Olszanowski, Sep. Sci. Technol. 46 (2010) 87. C. Y. Cheng, Hydrometallurgy 84 (2006) 117. A. Dakshinamoorthy, P.S. Dhamia, P. W. Naik, N. L. Dudwadkar, S. K. Munshi, P. K. Dey, V. Venugopal, Desalination 232 (2008) 26. P. Rafighi, M. R. Yaftian, N. Noshiranzadeh, Sep. Purif. Technol. 75 (2010) 32. A. Parus, K. Wieszczycka, A. Olszanowski, Hydrometallurgy 105 (2011) 284. N. Sehati, Z. Shiri-Yekta, A. A. Zamani, M. R. Yaftian, N. Noshiranzadeh, Sep. Sci. Technol. 47 (2012) 670. B. Sengupta, R. Sengupta, N. Subrahmanyam, B. Sengupta, R. Sengupta, N. Subrahmanyam, Hydrometallurgy 81 (2006) 67. K. Klonowska–Wieszczycka, A. Olszanowski, A. Parus, B. Zydorczak, Solvent Extr. Ion Exch. 27 (2009) 50. K. Wieszczycka, M. Kaczerewska, M. Krupa, A. Parus, A. Olszanowski, Sep. Purif. Technol. 95 (2012) 157. K. Wieszczycka, M. Krupa, A. Olszanowski, Sep. Sci. Technol. 47 (2012) 1278. G. A. Kordosky, K. D. MacKay, R. B. Sudderth, J. M. Sierakoski, Liquid-liquid recovery of copper values using alpha-hydroxy oximes, US Patent US4507268 A (1965). J. Szymanowski, Hydroximes and Copper Hydrometallurgy, CRC, Boca Raton (1993). M. Krupa, K. Wieszczycka, A. Wojciechowska, A. Olszanowski, Sep. Sci. Technol. 50 (2014) 654. M. Virnig, J. Bender, N. C. Emmerich, Methods of metal extraction using oximes, US Patent US8945490 B2 (2015). S. Pradhan, S. Mishra, Metal. Res. Technol. 112 (2015) 202. M. Hami Dindar, S.A.M. Fathi, M.R. Yaftian, N. Noushiranzadeh, J. Hazard. Mater. 179 (2010) 289. J.A. Dean, Analytical Chemistry Handbook, McGraw-Hill, New York, 1995. H. Wynberg, Chem. Rev. 60 (1960) 169. J. Rydberg, C. Musikas, G. R. Choppin, Principles and Practice of Solvent Extraction, Marcel Dekker, New York, 1992. D. S. Flett, Acc. Chem. Res., 10 (1977) 99. H.-Y. Lee, S.-K. Ihm, D.-H. Lee, Solvent Extr. Ion Exch. 5 (1987) 55. R.-S. Juang, I.-P. Huang, Sep. Sci. Technol. 35 (2000) 869.